As the weather warms up, more and more motorcyclists will take to the roads. 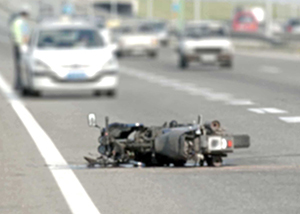 Because they do not have two tons of metal to protect them in an accident, motorcyclists are often severely injured or even killed in collisions. For this reason, it is important for all motorcycle riders and car drivers to remember to share the road. Washington law gives motorcycles the same rules as cars; this includes allowing a motorcycle full use of a lane. Car drivers should always stay aware of their surroundings, give motorcycles plenty of space, look twice for motorcycles. Motorcycle riders should remember that car drivers may have a hard time seeing them, so should keep distance from cars, pay attention to the wheels of a car, and avoid driving in blind spots. The following are the Washington laws for operating motorcycles. RCW 46.61.608: Operating motorcycles on roadways laned for traffic. All motorcycles are entitled to full use of a lane and no motor vehicle shall be driven in such a manner as to deprive any motorcycle of the full use of a lane. This subsection shall not apply to motorcycles operated two abreast in a single lane. The operator of a motorcycle shall not overtake and pass in the same lane occupied by the vehicle being overtaken. However, this subsection shall not apply when the operator of a motorcycle overtakes and passes a pedestrian or bicyclist while maintaining a safe passing distance of at least three feet. No person shall operate a motorcycle between lanes of traffic or between adjacent lines or rows of vehicles. Motorcycles shall not be operated more than two abreast in a single lane. Subsections (2) and (3) of this section shall not apply to police officers in the performance of their official duties. RCW 46.61.610: Riding on motorcycles. A person operating a motorcycle shall ride only upon the permanent and regular seat attached thereto, and such operator shall not carry any other person nor shall any other person ride on a motorcycle unless such motorcycle is designed to carry more than one person, in which event a passenger may ride upon the permanent and regular seat if designed for two persons, or upon another seat firmly attached to the motorcycle at the rear or side of the operator. However, the motorcycle must contain foot pegs or be equipped with an additional bucket seat and seat belt meeting standards prescribed under 49 C.F.R. Part 571 for each person such motorcycle is designed to carry. RCW 46.61.612: Riding on motorcycles—Position of feet. No person shall ride a motorcycle in a position where both feet are placed on the same side of the motorcycle. RCW 46.61.613: Motorcycles—Temporary suspension of restrictions for parades or public demonstrations. RCW 46.61.614: Riding on motorcycles—Clinging to other vehicles. No person riding upon a motorcycle shall attach himself or herself or the motorcycle to any other vehicle on a roadway. If you are injured while riding a motorcycle, you need an experienced and knowledgeable personal injury lawyer in Spokane on your side. The attorneys at Parke Gordon Law Firm will work hard to get you the compensation you deserve. Contact the law office of personal injury attorney Mat Parke today for a free consultation. This is your opportunity to speak with an experienced personal injury attorney about your case for free. Call (509) 482-7274 to get started on receiving a fair settlement from your personal injury case.